Now here is something you don’t see every day. 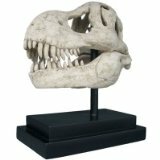 The T-Rex Dinosaur Wall Sculpture will make you forget all about a moose or deer head. 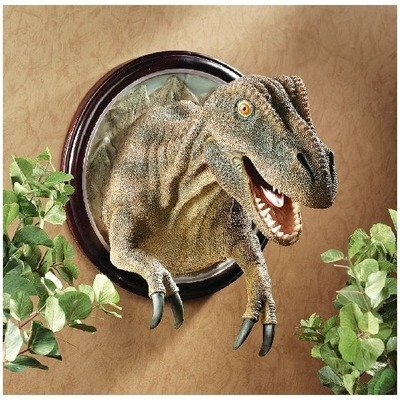 Who wants one of those when you can have a T-Rex Dinosaur Wall Trophy? 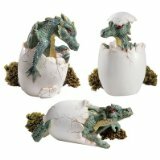 This is the perfect conversation starter for a man cave or a great accent piece for a boys bedroom. 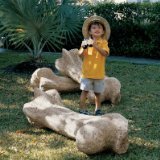 Overall dimensions of the T-Rex Dinosaur Wall Sculpture are 17 inches W x 15 inches D x 14.5inches H and T-Rex weighs a solid 10 lbs. 5.0 out of 5 stars Great conversation piece. Looks like a hunting trophy. Looks so real your eyes will do a double-take. Made of a porcelain-like material, but fragile. We had one hanging in our family room for ten years until a nail gave way and it smashed into a hundred unsalvageable pieces. Make sure you use molly bolts or something of similar strength if you plan on affixing it to drywall. I love the little guy. Always enjoy seing his smiling face while I eat breakfast and always wish him goodnight. 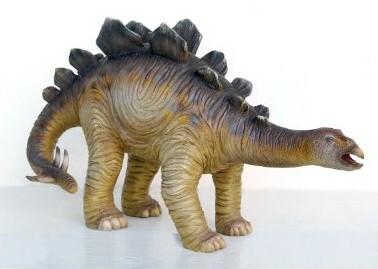 The only drawback is that it is not a real authentic dino. I can tell because the teeth are not razor sharp like a real t-rex.